BLADETECH The Blade-Tech is quickly becoming known as the ultimate, portable, pocket knife sharpener. Measuring only 75mm x 25mm x 3mm thick, and weighing a mere 14g (1/2 an ounce). The Blade-Tech is used by simply drawing the straight edged knife blade (no serrations) down through the wedge with only light pressure. 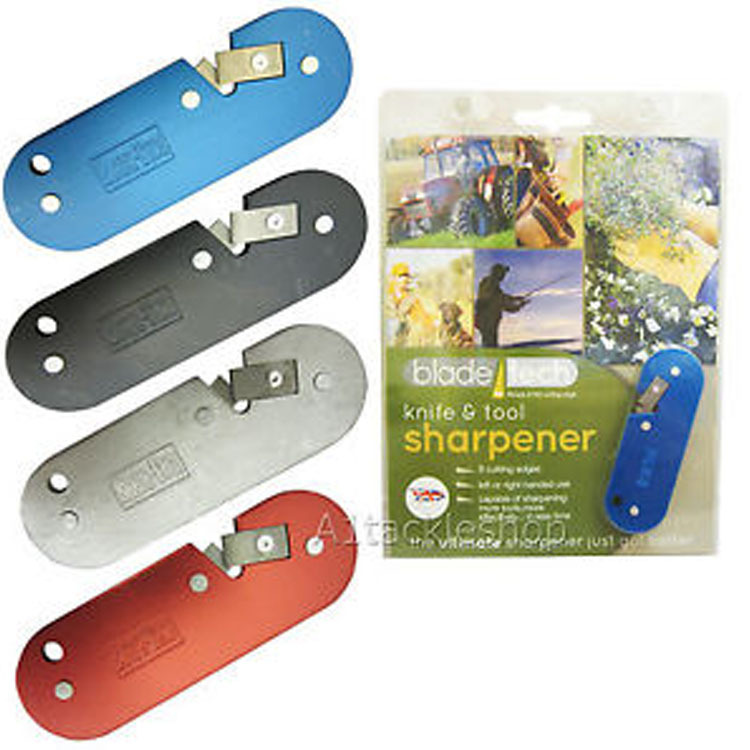 BLADETECH The Blade-Tech Knife sharpener can also be used on scissors, kitchen knives, hunting knives, pen knives, garden tools including shears, loppers, pruners, mower blades and scythes. Sharpens all blades, shears, scissors, secateurs, scythes, axes and weighs only 14g! Available in Silver, Black, Blue and Red.